Early to mid-twentieth century studies on the neurophysiology of the role of conditioned cues in relapse, conducted at the Addiction Research Center in Lexington, Kentucky, were the historical antecedents to today's neuroimaging studies. Attempts in the 1940s to see ‘what's going on in the brains of these addicts’ were formative for the field, as was foundational work done in the 1940s and 1950s by Abraham Wikler on conditioned cues, the role of what he called the ‘limbic system’ in relapse, and possible uses of narcotic antagonists to prevent relapse by extinguishing cues. This article sketches the historical context in order to situate continuities between historical antecedents and a current ethnographic case study focused on current neuroimaging studies of the role of ‘craving’ – and neural processes that precede conscious ‘craving’ and occur ‘outside awareness’ – in relapse conducted by Anna Rose Childress at the Treatment Research Center in Philadelphia, Pennsylvania. The article showcases the incommensurability between claims that ‘addiction’ is a matter of individual choice, and claims that it is a neurochemical disorder disruptive of volition. Neuroscientists offer scientific vocabulary and imagery that both shape and respond to the social experience of addiction. 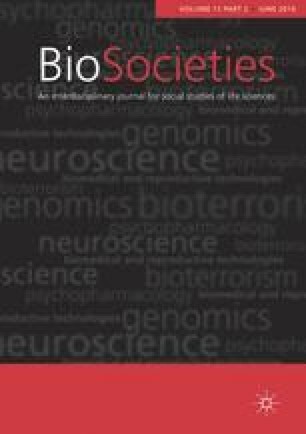 The conclusion considers the value of moving toward a critical neuroscience more cognizant of the social worlds in which ‘addiction’ occurs, not in the restricted sense of ‘social factors’ but through awareness of the social–situational contexts and relationships within which ‘addictions’ are experienced and studied.